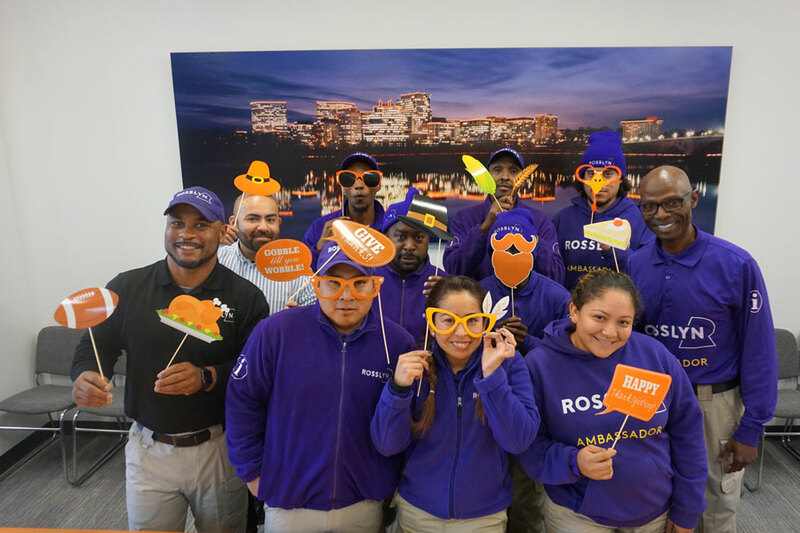 Happy Thanksgiving, Rosslyn! As the work week starts, many of us are getting ready to travel or preparing to receive guests later this week. And of course, as our team hangs out here in our work kitchen, our conversations inevitably turn to food: What to make? What's easy? What's good? What's impossible to mess up? A lot of us like to cook, others of us do so only when necessary. Nonetheless, here are some staff favorite recipes for the holidays! Enjoy—and have a wonderful holiday, even if you aren't cooking. We are grateful for our neighborhood and for those of you who are a part of it! Our esteemed president and her family enjoy this every Thanksgiving. Some of us had never heard of this kind of dish, but it sounds delicious and sinfully rich, with onions, Swiss cheese, various creamy soups and French bread. Get the recipe here. Okay, so this one is for more advanced cooks. Business Engagement Manager Emma Dalton loves this recipe, which she and her mom have been making for the past four years after they came across it in The Washington Post. They are both health-conscious so they manage to cut a lot of fat and sugar without compromising taste. Emma says it's time consuming but looks beautiful when it's finished. Get the recipe here. Communications Coordinator Mary Dallao loves peanut butter pie and thinks pumpkin pie is just okay. She came across this foolproof peanut butter pie recipe online years ago and now she makes it every Thanksgiving. It's not traditional or complicated to make but her kids love it and so do all the adults in the house. Are we giving you too many desserts? Get the recipe here. Top the mashed sweet potatoes with the brown sugar mixture. Bake at 350 degrees for 40 minutes. One year when Administrative Assistant PJ Sagan and his wife weren't traveling to visit family, he decided to try making a turkey breast in a slow cooker. The turkey cooked all day while they went out and about enjoying beautiful weather. It turned out great, so it's a terrific go-to recipe if you want turkey but aren't cooking for a crowd. Get the recipe here. We never met a roasted veggie we didn't like! When Events Director Sophie Barral is asked to bring a veggie side for Thanksgiving, she always makes this recipe for roasted sage broccoli. It's delicious and can easily be reheated in the microwave if the oven is too full! Get the recipe here. Photos above: Our staff (top) and our Ambassador team get in the Thanksgiving spirit!